Although things are starting to change, video games still get a ton of bad rep – and for good reason, one might argue. I mean, when kids are spending 4-6-8-12 hours every day playing, odds are something’s wrong. It’s not necessarily a problem in itself – some kids do grow up to be professional gamers, as you can learn from the Free to Play documentary – for a touching insight into what it means to become a professional gamer, the kind of passion and sacrifice it requires. But for most kids (and adults), spending over 4 days playing computer games is a pretty clear sign of a problem. But it’s not all bad. Playing video games does have its advantages – it’s been shown several times that this increases spatial orientation, memory formation and short term planning, as well as reflexes and reactions. Gaming is all about solving problems, and gamers are typically good at that. Now, a study published in PLoS showed that “a robust positive association” exists between the amounts of time teens reported spending on video games each week and the thickness of the left dorsolateral prefrontal cortex (DLPFC) and left frontal eye fields (FEF). 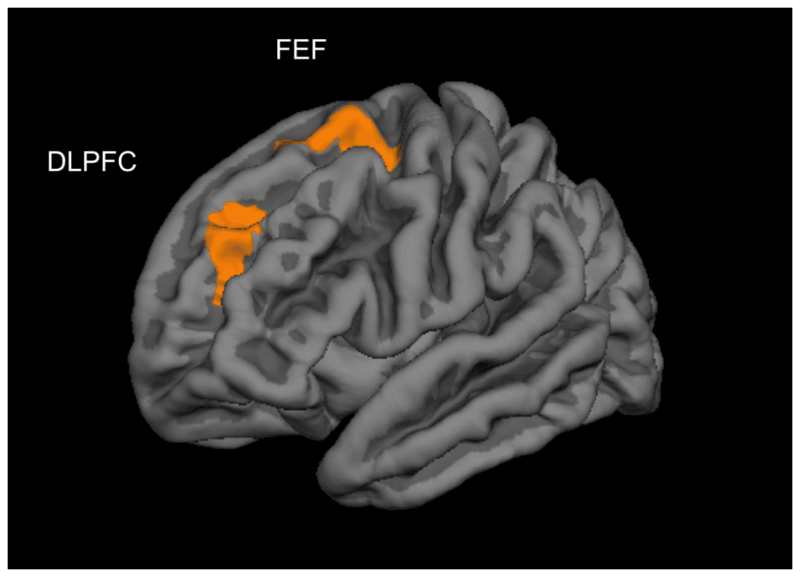 gnificant clusters of the cortical thickness correlation with hours of video gaming per week in the left dorsolateral prefrontal cortex (DLPFC) and left frontal eye fields (FEF) (multiple comparison corrected, p<0.01). Image from the original study. If you’re like me and had no idea if a thickening of the dorsolateral prefrontal cortex is good or bad, let me get that off your chest – it’s a good thing. In this context, it means an increased density of neural connections, and thus greater cognitive function. The DLPFC is associated with the management of processes like working memory and planning, while the FEF deal with visual attention and voluntary eye movement; needless to say, both are highly used in video games. This association is not enough to say that it’s the video games that cause the thickening, but when you look at the broader context and take into consideration previous studies, it becomes a little more clear. In other words, behavioural evidence from other studies suggests video games might be the cause. This is still a research in its early phases, and needs a whole lot of finesse, in my opinion. For starters, researchers want to see what genre of video games yields the most benefits, and if these results can be linked with overall increased decision making.